Telescopic Loading Tube for dust-free loadut of bulk materials to open trucks. 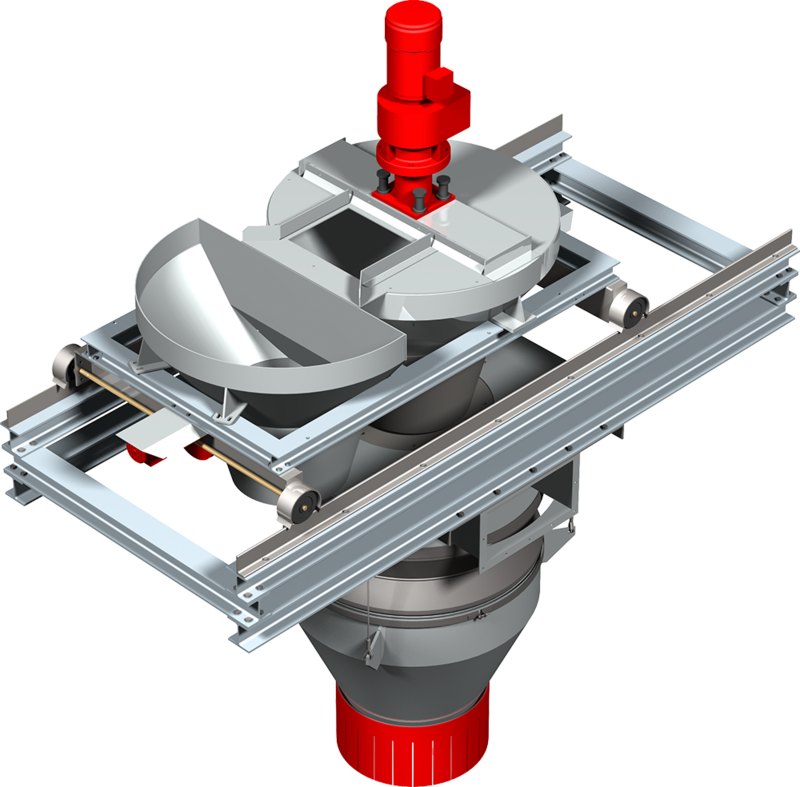 The Continuous Flow Mixer provides for homogeneous mixtures of bulk materials, while the Telescopic Loading Tube reduces dust emission during loadout. 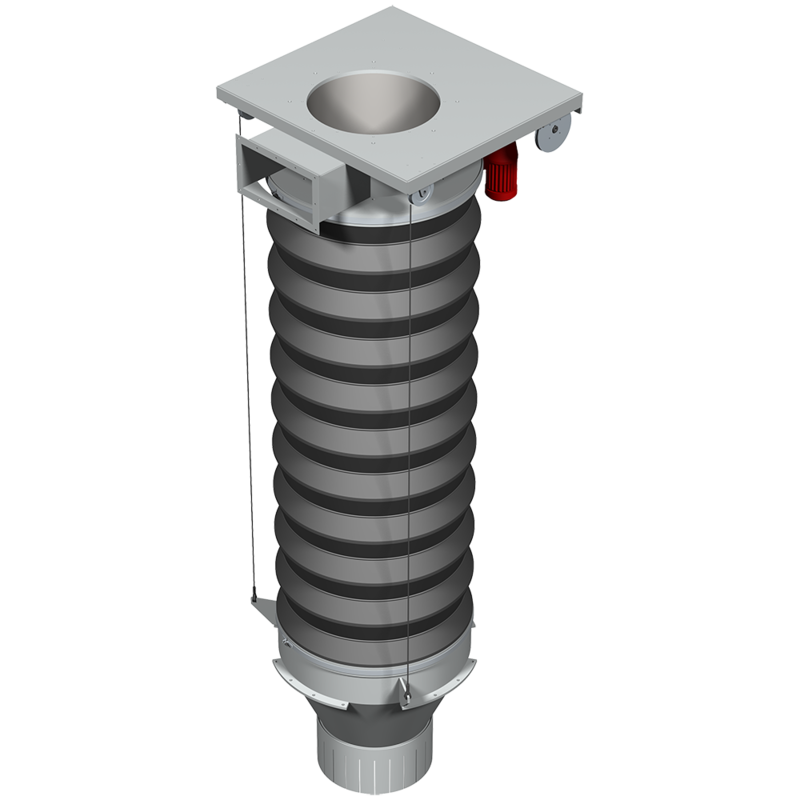 The WÖHWA Telescopic Loading Tube is an extremely robust product for the loadout of sands or coarse grained materials. The wear resistant steel lining has a long working life and can be exchanged with very little effort. Proximity sensors keep the discharge nozzle always at the right distance to the material pile (optional). In combination with a WÖHWA Continuous Flow Mixer it is the optimum basis for environment-friendly loadout of high-quality blends. When used with a WÖHWA Blending and Loadout System, automatic use of the Telescopic Loading Tube can be programmed by marking the relevant blend recipes.